The Bangalore Book Sellers and Publishers Association was established in January 1988. The founder members to the association are M/s. Gangaram Book Bureau, Higginbothams, UBS Publishers & Distributors Pvt. Ltd, M/s. Satish Agencies. The present membership of the association is 110. The association has been conducting Bangalore Book Festival every year for last 6 years. Apart from Book festival, association has been organizing seminars on Book Piracy, Book Publishing, and Book Marketing etc. Our association took initiative to deal with sales tax imposed on books by Government of Karnataka. With the support of our members along with Karnataka Book Sellers & Publishers Association the Government of Karnataka was forced to backtrack and withdraw sales tax on books. Association has also planned to support members for the cause of education and medical assistance on the bases of merit of the case. Association has created among the members’ spirit of mutual help and best of understanding among the members. Most of the libraries insist purchases from the members of the association for the trust, which they impose on our members. BBPA is also representing in Selection of books by the Karnataka Govt. for bulk purchase. 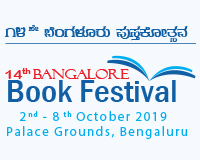 To conduct Bangalore Book Festival every year in Bangalore and also co-operate and support associations in other towns. To create, foster and develop the spirit of mutual help, fellowship and best of understanding among the members. To improve the knowledge of members by organizing seminar on Book marketing, book publishing, book promotion and self-improvement.